Strange smell from a light fitting? Seeing sparks when unplugging appliances? Crackling or other noises from a switch? Appliances running hotter than normal? All of these indicate that there may be a fault somewhere in your electrical system. 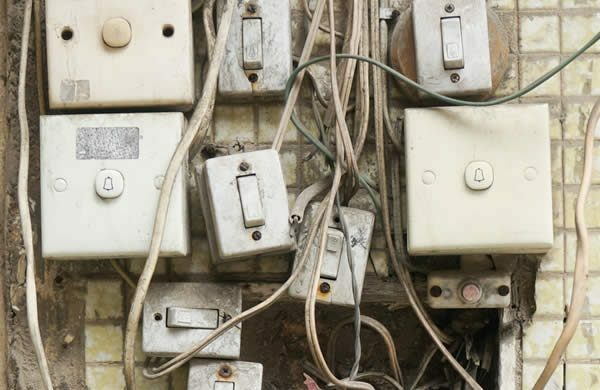 Ignore it at your peril, electrical faults can quickly become an electrical emergency. Many electrical emergencies can start fires are cause an electrocution. Some London electricians set out take advantage of your misfortune and charge you a premium rate (usually £95 per hour and upwards). Some will even add a call-out fee on top of that. We prefer not to sting you for emergency work and charge our normal rate of just £65 per hour. It isn’t because we are less competent or have little experience, we prefer to trade ethically. After all, it’s not your fault you have an electrical emergency. South London Electricians have been trading since 1990, so you benefit from shed loads of experience. 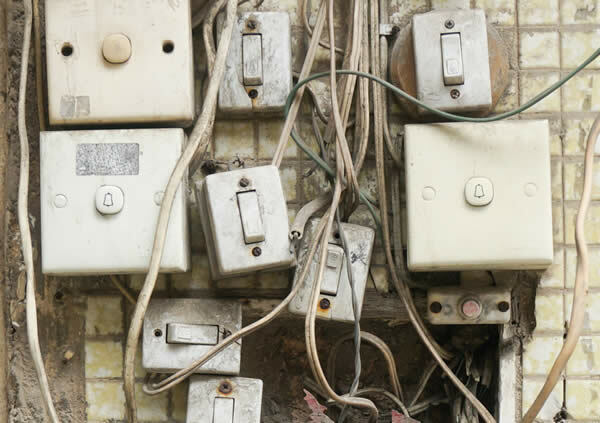 It is unlikely that we have not dealt with an electrical emergency or electrical fault like yours, if not in the Selhurst SE25 postcode, somewhere close. Each one of our team of emergency electricians is fully qualified, time-served and has installed both domestic and commercial electrics around the capital for many years. For independednt reviews of our reliability, efficiency and value for money, take a look at our Checkatrade reviews. South London Electricians are equipped with the latest test equipment, you will therefore benefit from a fast repair at a lower cost as we will be in and out faster than many others. We have both domestic and commercial emergency electricians available in the Selhurst (SE25) area and can therefore deal with any emergency electrical problem rapidly – consumer units, 3-phase supplies, lighting issues, faulty wiring etc. Many seemingly SE25 electricians are in fact national companies advertising for work in your area. Most of them will use a call centre to take your initial call. They will then pass on your details to an electrician. The electrician will then call you back to discuss your electrical emergency (again). A national company electrician may have to cross London from Watford or Enfield … and that could take some time! You could be waiting an hour or more for the electrician to arrive. Our local Selhurst emergency electricians are familiar with your area and will know the fastest route to your home or business. When you call us, you will speak directly to an electrician for your area. In other words, instead of pacing up and down for ages, waiting for a call back, one of our emergency electricians could already be on-site, fixing your problem.